Fade The Possible Trade War? The United States of America and China is in the midst of one of the fiercest economic battles in recent memory. It all started at the beginning of the year when US President, Donald Trump imposed heavy tariffs on Aluminium and Steel in a bid to protect the indigenous industries of America. Relations between the two parties further soured when Trump announced about a 25% tariff on $50-$60 billion exports to the United States from China. China, on the other hand, retaliated by placing fees on a wide-range of products produced in the United States and sold in China. 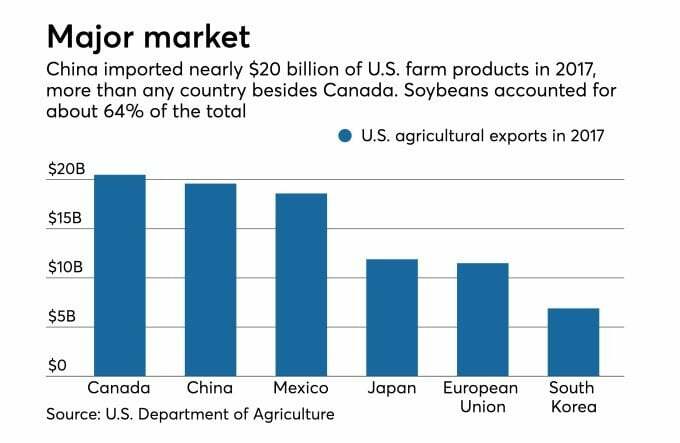 This sparked off a chain reaction of sorts with both the countries imposing several trade tariffs which could have economic implications worth thousands of billions of dollars. Although, President Trump has refrained from using the term ‘Trade War’ but seldom do countries impose tariffs of this magnitude, back and forth. There is potential for impact on some of the most important sectors. As a result, the financial newspapers and news channels are abuzz with stories on how it will affect the share market and how one should tread very carefully while investing. Many are viewing the events as a sign of portent in the investing market. However, there are many experts who believe that things may not be as bad as they are portrayed to be. The following are some reasoning being given, which should convince you that it is still possible to invest heavily in the market and get attractive returns. As the threats of another imposition of tariff loom large, and more capital moves from the emerging markets at a quicker rate than witnessed in the last two years, those investors should still be fine who are investing in countries which lack the securities regulations and accounting standards like those of the European nations, the United States and Japan. In fact, some of them are providing up to 15% total annual returns, by turning China into the biggest holding. Such a situation is possible partly because under present circumstances, the second best economy is acting more like the best economy, as it is the domestic demand which defines the major industries driving the Chinese growth. Hence, for the well-informed and smart investors, the trade war should not be as big a problem as it is made out to be. In the middle of July, the market got a blow because of the fresh list of tariffs being released by the USA on Chinese goods worth about $200 billion. However, if the previous experiences are anything to go by, then the market should rally back within a few days, as it did after the initial implementation of the first round of tariffs on Chinese goods. It is also important to remember, that there is no guarantee that the new round of tariffs will be implemented. There is still a two-month review process which it must undergo before the final decision is made. It is widely believed that this will be a temporary affair and the market will continue to grow further. Most experts today believe that the possibility of a full-scale trade war is minimum. Additionally, they also think that even if the trade war happens, the impact will not be significant enough to leave a mark on the economy in the long run. In such a scenario, it is in the best economic interest of the investors to not make any change. This will ensure that even in case of volatility the impact will not be felt, as the market will almost certainly recover in a few years’ time. Smart rebalancing the portfolio of stocks could prove beneficial under such circumstances. It is better to focus on buying shares of the well-performing domestic companies as opposed to those stocks that are dependent on other countries. One of the best ways to approach uncertainty is by diversifying the investments. Ideally, one should diversify the investments in such a manner that one has investments in different types of assets. This is effective in not only minimizing the risks but also ensuring a more stable path to growth. Those people who are in the stock market for the long haul and only intend on counting the returns after 15 to 20 years they need not worry about short-term issues like trade war at all. Overall, although, the situation may look grim, in reality, the possibility of a trade war and its impact are unlikely to have much significance in the stock market. 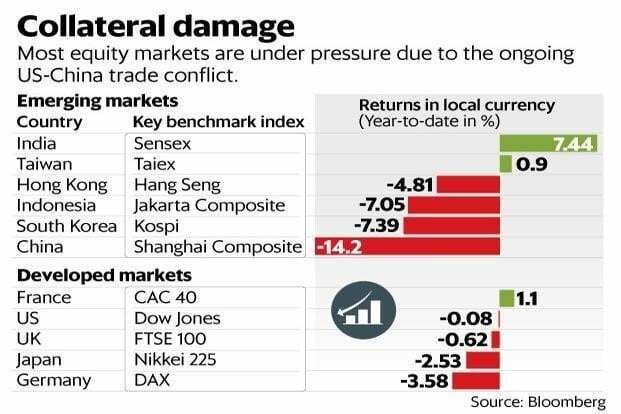 Once, an investor invests smartly and surely, the chances of the trade war affecting the returns are minimal, especially if proper precautionary measures are adopted. Gagan Singla is the CMO of AngelBroking, a leading stock broking and wealth management firm in India. He holds a B.Tech degree (Computer Science) from IIT Delhi and MBA from IIM, Lucknow. All in all, he has over 15 years of experience in analytics, consulting and marketing. He has been instrumental in delivering analytics-driven transformations in multiple industry sectors including banks, insurance, eCommerce, AMCs and public sector across numerous geographies including the US, UK, Europe, Malaysia, India & Canada. In the last couple of years, he has taken up leadership roles in digital marketing to drive business growth in the new digital age.